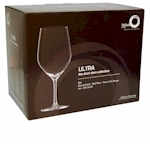 We are now please to report that the Stolze ULTRA wine glasses are now back in stock and better still at a new lower price of £14 per box of six. Stolze lead free glassware is dishwasher safe. 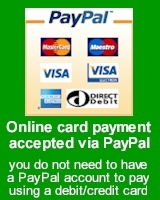 Glasses available: red wine, white wine, Bordeaux wine and Champagne flutes. 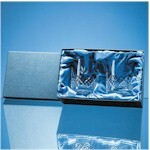 Latest addition to our selection of cut lead crystal is the SHARD range of glasses and decanters. Designed by Anton Studio Designs in London and made in Poland by skilled craftsmen, the stylish SHARD design consists of a series of tightly packed vertical lines of differing lengths on elegant 24% lead crystal glassware, presented in strong luxury gift boxes with hinged lids. Take the time to look at our new Blenheim lead crystal suite in a stunning diamond and fan, which we believe offers exceptional quality comparable with leading brands at a more affordable price, with gift options available.